The writing is on the wall with Idea Paint. 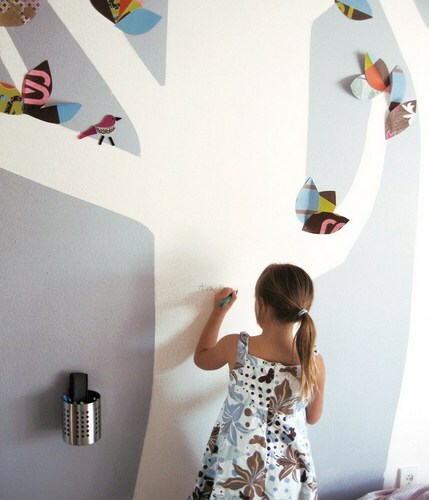 What I’m about to share with you is such a fabulous idea but be warned – it will encourage your kids to draw and write all over your walls. If you are prepared to view your walls as a blank canvas then Idea Paint is the perfect starting point. 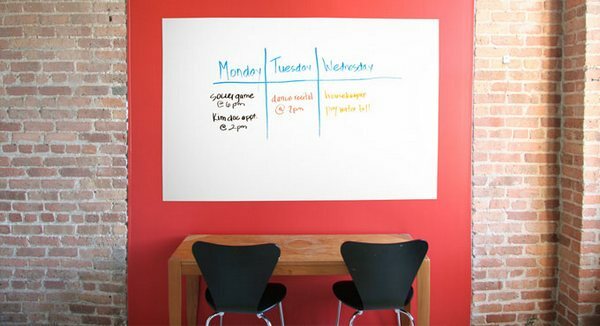 Idea Paint turns virtually any paintable surface into a dry-erase surface – the possibilities for work, schools and homes are endless. 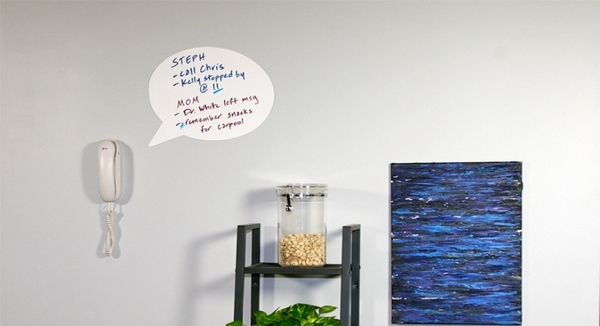 From creating a family message board to painting the children’s furniture, you and the kids can add your own creative elements. I’m fairly certain my boys would like to add some goal posts to one end of our hallway (and then erase them to draw a cricket wicket in summer) – not that I condone sports in hallways! There are lots of technical specifications to ensure Idea Paint is a high quality product. It doesn’t crack, peel or stain, you only need one coat, it’s available in different colours and when you’re done, simply paint over it. Idea Paints deliver to Australia although when I checked it out, shipping was costly. Prices range from US$29.95 for a paint kit to cover a small area up to US$175 for larger kits.